This entryway makes guests feel right at home. It features slate flooring with bead board wainscoting throughout the lower level and ties into the millwork pilasters, keeping the architectural rhythm consistent. 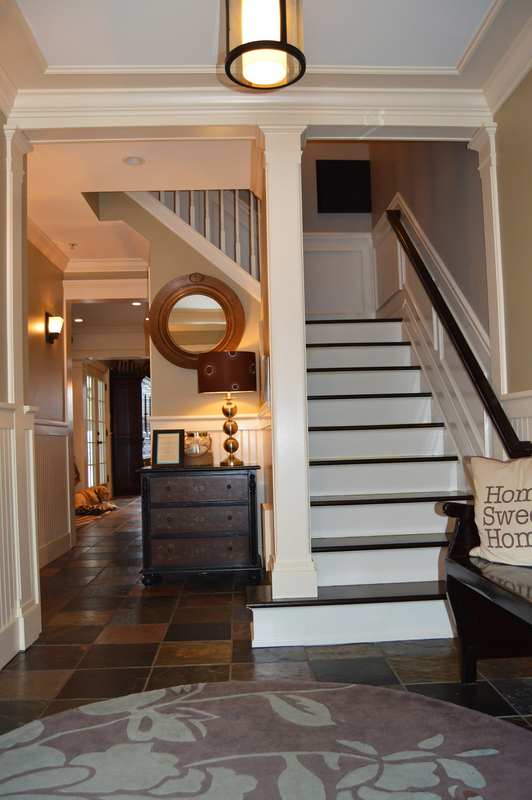 As you walk up the stair, the paneled wainscoting becomes coherent with the upper levels.